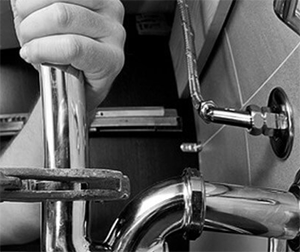 Plumbing Vallejo, CA | A+ Waterworks, Inc.
A fundamental part of any building is its plumbing. Vallejo, California residents with plumbing problems can attest to how important it is to keep your home or office building’s plumbing systems in working order. Problems with plumbing in Vallejo, CA can range from mild annoyances to outright disasters. However, instead of trying to detect and fix the problem yourself, you should contact professionals that specialize in plumbing for Vallejo, CA, like A+ Waterworks. No matter the severity of the issues with your plumbing in Vallejo, CA, A+ Waterworks can handle it. Our family-owned and operated business has been offering plumbing, fire system, and sanitation service to both commercial and residential customers since 1994. When you do your own plumbing in Vallejo, CA, more often than not, you’re only temporarily fixing the problem. If you hire a company that specializes in plumbing for Vallejo, CA residents, they can identify whether or not your leaky faucet requires a simple solution or if it is a symptom of a much larger issue within your plumbing. Vallejo, CA plumbers like A+ Waterworks will not only address the immediate problem but also offer expert advice on improving your system as a whole. Unless they’re professionals that specialize in plumbing, Vallejo, CA residents most likely don’t have the tools or the knowledge that they need to fix problems with their plumbing. Vallejo, CA plumbers, in contrast, already have the necessary equipment and know-how to quickly, safely, and expertly do the job. Fixing issues with your plumbing in Vallejo, California would require you to shop around for the specialty equipment or parts that can address the problem. If you hire a professional to handle problems with your plumbing in Vallejo, CA, you won’t have to worry about this. When you hire a professional to solve the problems with your plumbing in Vallejo, CA, you protect your plumbing system in the long run. Professionals keep the plumbing in Vallejo, CA in good condition. They do this by addressing not only the issue that you called them in for but also the other problems that they may find during their visit. Whenever you need help handling issues with your plumbing in Vallejo, CA, you should contact professionals like A+ Waterworks. Each member of our team is wholly committed to giving our customers the best in installation and repair services. For excellent and efficient plumbing in Vallejo, CA, turn to A+ Waterworks. With our 24/7 emergency service, you won’t have to stay up worrying about your plumbing in Vallejo, CA. Contact us by giving us a call at 707-255-5270 or by sending us an email at [email protected] You may also visit us at 194 Camino Oruga, Ste. 13, Napa, CA 94558 on weekdays, from 8:30 AM to 5:00 PM. Get in touch with us and we can give you a free estimate. We would love to hear from you! When it comes to professional plumbing, fire system installments, and sanitation services for suburban and commercial clients, turn to A+ Waterworks. We have been serving the North Bay area of California since 1994 and have been hailed as one of the best in the industry. We specialize in a variety of residential and industrial plumbing services, and never sacrifice quality for quantity. From fixing minor leaks in houses to maintaining the plumbing system of an industrial warehouse facility, our plumbers will allot the same amount of care and attention to every project we do. A+ Waterworks looks forward to creating long-term relationships with every client by ensuring customer satisfaction with every plumbing order. The A+ Waterworks team has decades of industry experience in residential and industrial sewer cleaning. Our sanitation experts will do everything to determine the cause of the blockages. From there, we’ll use the information we get to plan and implement actions that prevent these blocks from happening again.